← More than a mosaic engine! 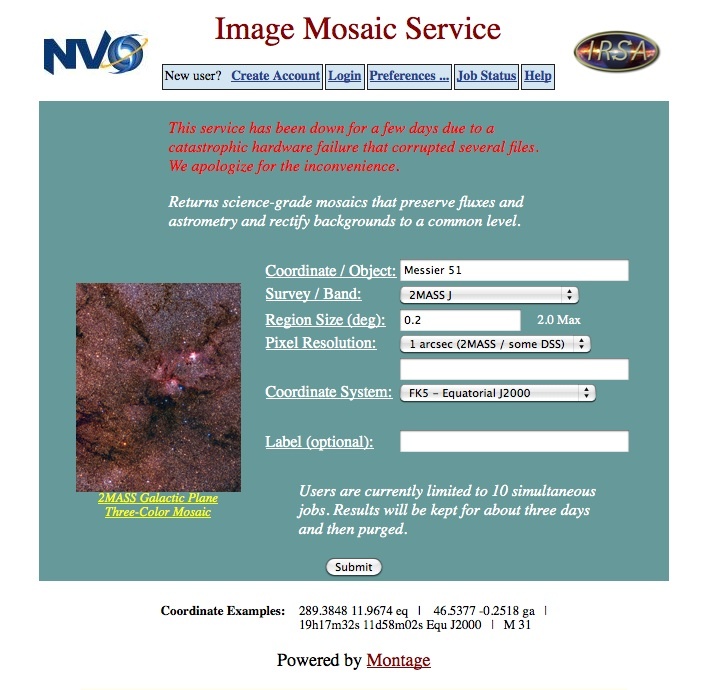 If you don’t want to download and build the Montage code, you can get mosaics of images served by the Two Micron All Sky Survey (2MASS), Sloan Digital Sky Survey (SDSS) and the Digitized Sky Surveys (DSS) projects through an on-line service at http://hachi.ipac.caltech.edu:8080/montage/. The image below shows a screenshot of the request web page, a simple web form where, after creating an account, you enter the parameters of the mosaic you wish to compute. You may submit as many jobs as you like, but only five will be running at any one time (to be fair to other users), and you may follow their status on a dedicated page, or opt to receive e-mail when your mosaics are ready for download from a web page that displays the mosaic and reports its attributes. See an example of this web page below. 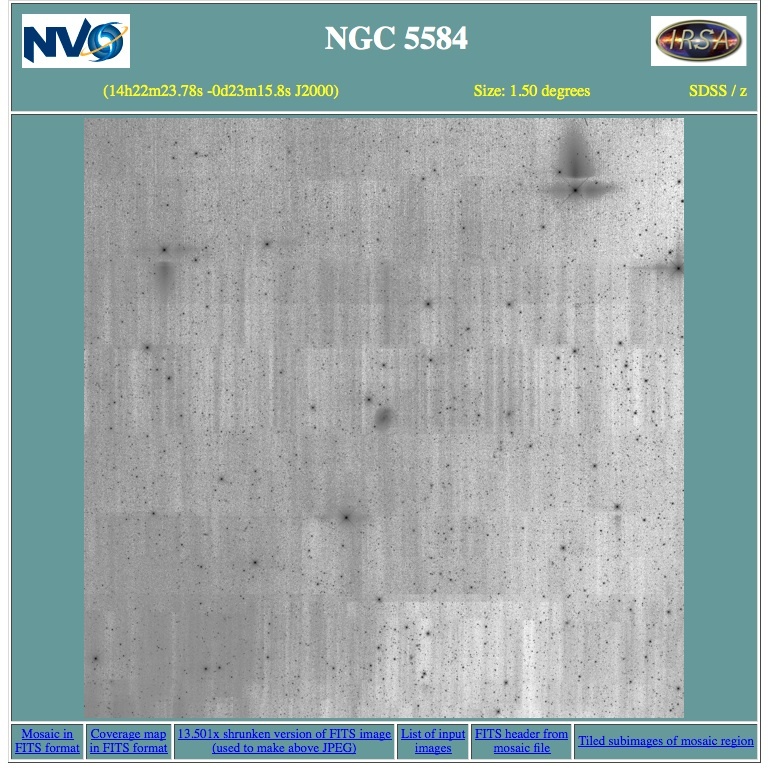 This entry was posted in astronomy, astronomy images, Image mosaic, Image processing, Images and tagged astronomy images, Image mosaic, Image processing, Images. Bookmark the permalink.